Fill a rock glass ¾ full with ice. 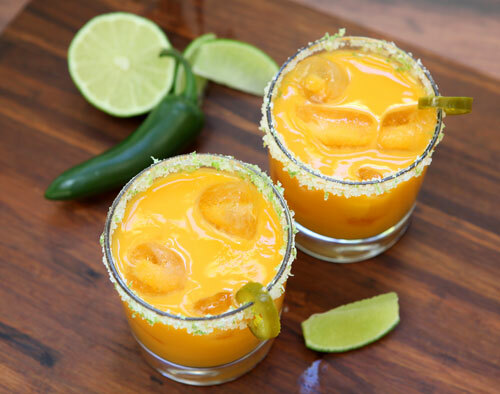 Add tequila and fill with mango juice leaving just enough room for the juice of ½ lime, and a splash of jalapeno brine. Stir to combine and serve with a lime wedge and slice of jalapeno.